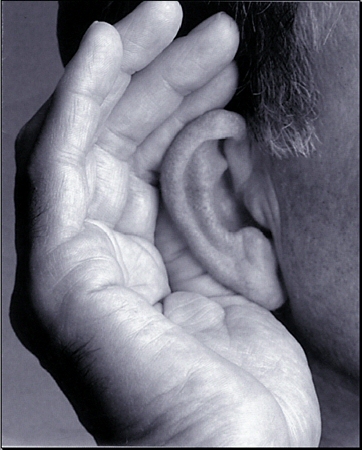 Spiritual Leadership Principle: Leaders need to be able to hear and obey the voice of the Lord. Samuel was a young man who served Eli. His task was to be in the house of God where the tabernacle of the Lord was, so he served where the presence of God was. Samuel was able to see how Eli worshiped God and Samuel learned that Eli understood two very important things. First Eli was able to hear the voice of God. Second Samuel saw that after hearing the voice of God you also have to believe and obey what God told you to do. One night after Eli had fallen asleep Samuel laid down in the tabernacle by the ark of God. After Samuel had fallen asleep he heard the voice of the Lord and thought it was Eli who was calling him. So he went right to Eli and asked him what he needed. Eli told him that he had not called him and to go back to bed. This happened three times and on the third time Eli realized that it was the Lord. So in his experience he told Samuel to go and lay down, but if he heard the voice call him again he told Samuel to say “Yes Lord your servant is listening.” So for the third time Samuel went to lay down and when the Lord called him Samuel replied exactly the way he was told to. Even during this time when it was rare for God to speak to people, He still did speak to Samuel. Samuel was willing to hear and obey what the Lord was telling him. Doing so launched Samuel into his destiny of becoming a great prophet. Just like Samuel, Godly leaders need to be able and willing to hear the voice of the Lord and be willing to obey. Have you seen the Verizon commercial where the main character is going around the world testing the Verizon phones on their connection and making sure it would work and wherever someone would want to use the phone, you see him walking by and saying “Do you hear me now?” I believe that is what God is speaking to his people. Do you hear me now, I am trying to speak to you, and can you hear me? He is always speaking and wanting his people to hear. Do you hear Him? If you can’t hear Gods voice or would like to hear Him more don’t be discouraged because the key is in the 1st book of Samuel chapter 3. It says, “The lamp of God had not yet gone out.”(NLT) This is a significant passage because it is telling us that each one of us has a lamp in our life and God is telling us that no matter what it has not nor will ever go out. God is still speaking to you because God’s lamp is in everyone’s life. It is relieving to know that God will continue to speak to leaders, even if we have chosen not to hear and obey in the past. So if you are a leader and having a hard time hearing His voice, just know that He is always saying, “Do you hear me now?” and will never stop. Spiritual leaders who hear and obey will be successful in the market place, at home, in relationships, and every area of their lives. It is vital for leaders to take the time to separate from the world’s voices and spend time seeking Gods voice. Effective leadership comes from hearing and obeying His voice. By doing this God will bless you and increase your influence. As Godly leaders, hearing and obeying God should be one of our primary concerns; because, it will allow us to draw closer to God and lead us to our destinies. So daily have your ears open and be willing to obey.